West Seattle has a surprisingly large number of delicious breakfast and brunch spots that specialize in their own unique dishes. 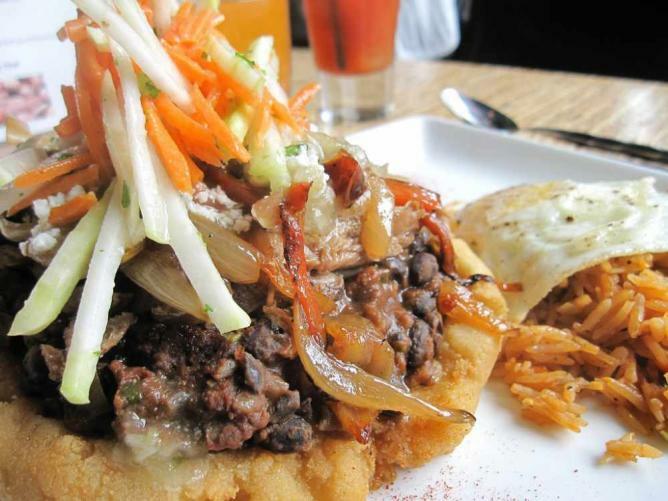 Some serve up unique fusion cuisine, whereas others stick to more nostalgic tried and true favorites. We’ve put together a list of the 10 best breakfast and brunch spots in the city so that you can plan your mornings or afternoons accordingly. Check out these awesome places to start off your day. 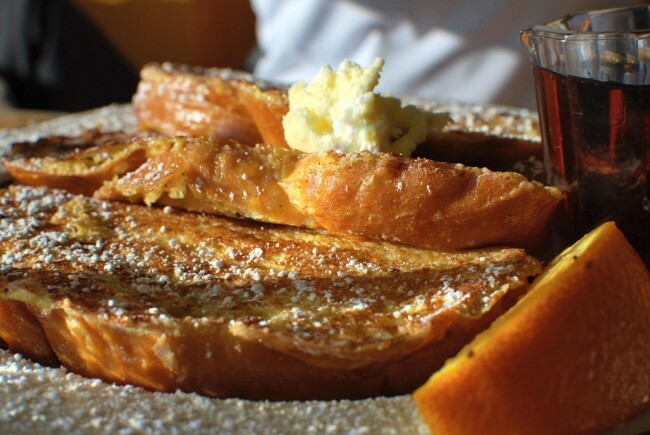 This spot is one of the most popular brunch restaurants in all of West Seattle, and all of the hype is truly merited. Fiddlehead Fine Foods & Café serves up delicious grub during the mornings and afternoons, so be sure to come by and get a taste of what everyone’s talking about! Their biscuits and gravy, pork hash, banana pancakes, cheesy grits, and French toast will make your morning a memorable one, and the cute interior consisting of crafty wooden furniture and colorful flowers will make your experience here a pleasant one. Music fans must stop by this record store/brunch spot while in West Seattle for an experience that combines two of the very best things in the world: music and food. Easy Street Records and Café puts the focus on the music through an extensive selection of the very best tunes and on the food with tasty items dedicated to some of music’s greatest legends. Shop around for some of your favorite albums and sit down to enjoy their Mudhoney latte, Horton Heat Hash, Johnny Cash special, or any other mouthwatering dish. The atmosphere here is so fitting for music lovers – posters and painted album art grace the walls, and the music is always amazing. Ma’ono serves up unique Asian and Hawaiian fusion, but their brunch options are especially spectacular. Their fried chicken is their signature menu item, but be sure to order their egg dishes, spam musubi, and French toast, along with bottomless mimosas. You can’t go wrong at this West Seattle staple. Work up your appetite hitting strikes at the West Seattle Bowl before you brunch at this spot. The Highstrike Grill has some of the best American food in the area, especially on their breakfast and brunch menu, which consists of tasty omelettes, French toast, burgers, and hand breaded fish ‘n’ chips. Be sure to also order their signature bacon waffle, a flaky Belgian waffle made with crispy bacon and slathered in syrup and butter. If you enjoy having breakfast for dinner, or just like good food served with quality and character, visit this retro, nostalgic 50s-style diner and try their breakfast items – at any time you’d like. 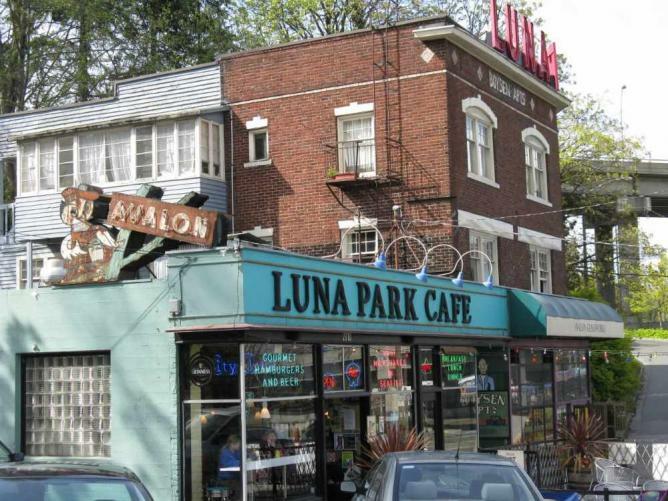 Luna Park Cafe, whose name pays homage to the famous amusement park that graced West Seattle over a century ago, is a quirky little spot with great menu options, especially their egg dishes, such as the fiesta eggs or eggs Benedict, and their famous milkshakes. Enjoy the unique atmosphere while you munch and listen to your favorite tunes on a jukebox. This restaurant offers patrons a unique and ridiculously delicious brunch that you won’t find anywhere else in West Seattle. Fresh Bistro, which focuses on cultivating nature’s gifts given to local farmers and vendors, has a spectacular weekend brunch menu featuring a variety of dishes and drinks you simply must try. These include their Dungeness crab eggs Benedict, their Hawaiian breakfast consisting of coconut French toast, Portuguese sausage, candied ginger grilled pineapple, and macadamia nuts, and Thai chili infused bloody Marys. If you’ve booked your itinerary with lots of sightseeing around the city, don’t worry about not having enough time for a delicious breakfast. Bakery Nouveau is the ultimate spot for grab-and-go treats, such as macarons, pastries, quiches, and French breads, which are all served with coffee and various espresso drinks. 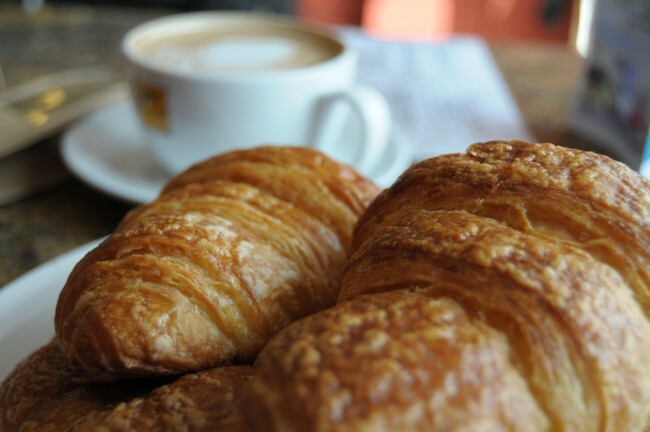 The bakery offers a variety of different croissants, especially their double baked croissants, such as chocolate, ham and cheese, almond, spinach, and more – be sure to try this specialty when you visit. This cozy and intimate spot is a neighborhood favorite for catching a delicious first meal of the day, any day of the week. Circa provides patrons with some of West Seattle’s best breakfast and brunch dishes, such as their Louisiana eggs Benedict, decadent Hawaiian bread French toast, and butternut squash tacos. They also serve Stumptown coffee for those in need of a stimulant, and tasty lemonade mimosas to accommodate a quiet and relaxing weekend brunch experience. 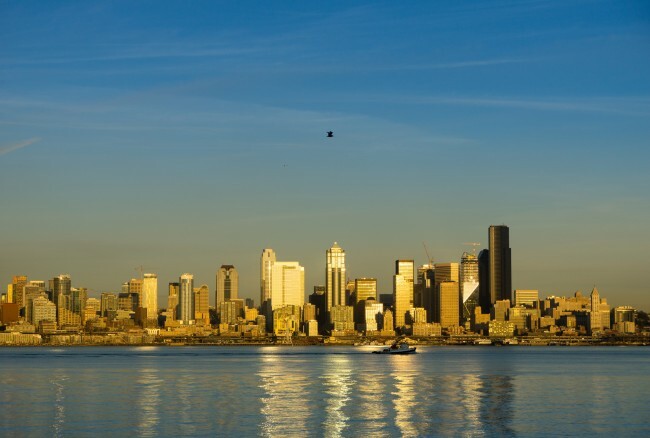 If you’re looking to celebrate a holiday or special occasion, or just want a luxurious meal surrounded by the beauty of Alki Beach, this is the brunch spot to come to in West Seattle. Salty’s on Alki Beach is an upscale restaurant serving premium, delicious food with gorgeous views of the ocean and Puget Sound. Their brunch buffet has an extensive amount of options, and highlights include their omelette bar and fresh seafood options – especially their tasty oysters. This adorable little tea and coffee shop is a great spot to grab breakfast or brunch inspired by French and Vietnamese cuisine and drinks. Pearls Tea & Coffee is most noted for their bubble tea, or boba, which is a milky tea beverage loaded with chewy tapioca balls, but their espresso drinks and avocado smoothies are also wonderful. They have great food options, such as crepes, baguettes, and banh mi sandwiches. The red velvet couches and red walls make the interior fun and cozy, and the free wi-fi will keep you here all morning long.